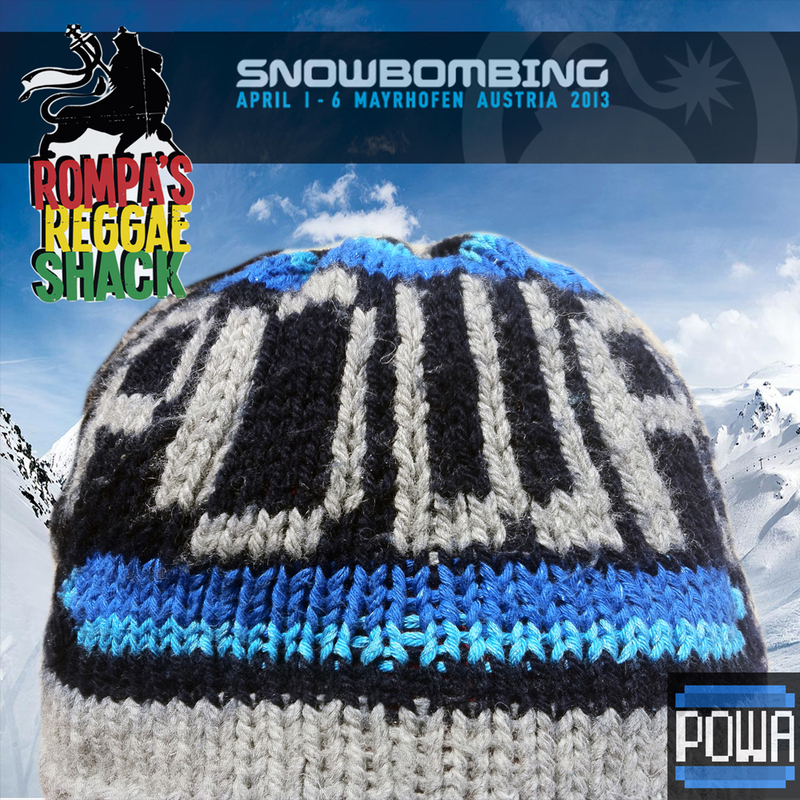 Rompa's Reggae Shack was an idea conceived in 2011 and was launched at Snowbombing 2012 with help from the festivals organisers by James Rompani aka Rompa from the ever succesful London bass brand Urban Nerds. 5000 feet in the mountains RRS is a welcome Snowbombing retreat serving up rum and reggae in all is forms, now in it's second year at Snowbombing RRS has established itself one of the top mountain retreats at the festival and saw the likes of Mistajam, Mr. Motivator, Tayo, The Dub Pistols, DJ Oneman and many more taking to the turn table to share some of their favourite reggae riddims in it's first year. 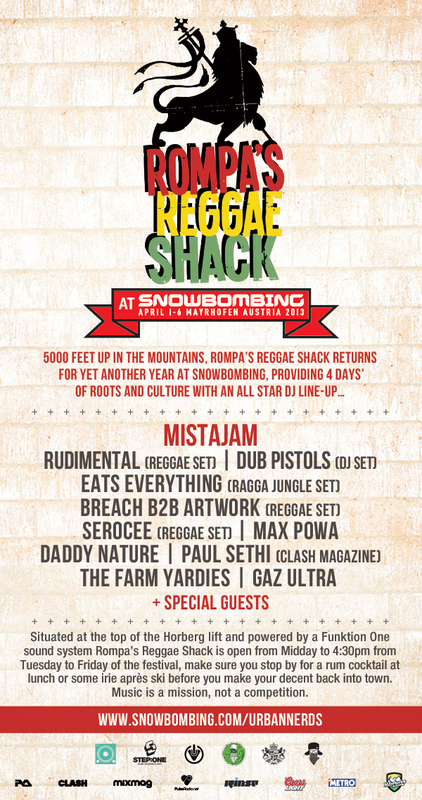 2013 is no different and sees an all-star DJ line-up including current house Don, Eats Everything, playing a special ragga jungle set, also appearing is Mistajam or 'Mistajammin' which is his newly adopted Rompa's Reggae Shack alias. There is also a special treat in the form of an exclusive reggae set by Breach and Artwork who will be going back to back selecting some righteous reggae riddims. We can't wait. Rompa's Reggae Shack will also be serving up some special rum cocktails for the ever-thirsty Snowbombers. Make sure you book with Urban Nerds to receive your limited edition Urban Nerds T-Shirt. Check out the exclusive mix range Soundcloud recorded for Rompa's Reggae Shack by some of the music scenes top players including: The Dub Pistols, DJ Oneman, DJ Tayo, RackNRuin, Max Powa and more. Also keep you're eyes and ears open for the Rompa's Reggae Shack CD Mix series with some VERY special guests coming soon as well.